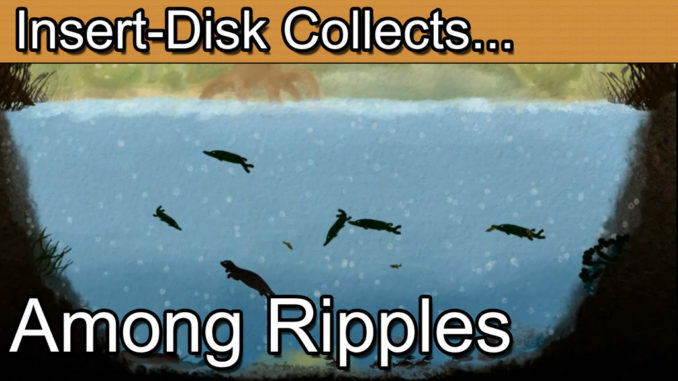 Insert Disk collects Among Ripples for the PC. Among Ripples is a rather relaxing simulation indie game. Manage the eco-system of your pond and de-stress yourself in the process. 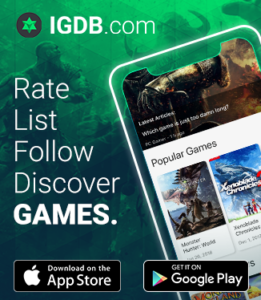 Greetings collectors and welcome to today’s independent studio game. Today I’m taking a relaxing look at the free to play game “Among Ripples”. It’s debatable whether you can actually call Among Ripples a game. In my mind it’s more of an interactive wallpaper. Having said that, it is a very relaxing and beautifully stylised wall paper. The Eat, Create, Sleep studio that released the game make no grand claims regarding its release. It is described very much as an experimental game to help you relax. Here are the release notes from the studio: “Control a pond’s ecosystem; experiment with what you can do and see what happens. Among Ripples is a meditative ecosystem management simulator; you add different creatures to the pond and see how they interact.” This very much sums up the experience. There’s a helpful tutorial to get you in to the game. The controls are simple to master. By clicking on various habitats you can spawn new organisms within the eco system. The small fish will rely on the algae, the larger fish will rely on the smaller fish and the otter will need to survive on a diet of crayfish and clams. The game is an open sandbox and requires you to ultimately balance the eco system. You can increase of decrease the levels of oxygen in the water. However, this will affect each species differently. A change in oxygen may allow some species to thrive but others suffer. In turn the clams that can remove toxins will also rely on the toxin levels to raise in the first place. It’s all a fine balance of nature and beautifully executed here. The Eat, Create, Sleep team are based in Gotland in the Baltic Sea. The small team seem to have a taste for creating relaxing experiences but also back this up with their knowledge of eco systems. The company website has useful background on how the project came to be: Oskar and Martin met in 2012 on the university and started on the ecological management simulation game Among Ripples early 2013. It was released in the beginning of April, 2014 and has garnered a lot of positive feedback since then. We’ve appeared on several outlets with positive reviews and have several impressions on YouTube. During the later stage of production for Among Ripples we rallied more creative and brave people behind us and started on our new vision, Crest. A continuation on our first game in more than one way. It’s a busy world out there and stress does have a way of catching up on many of us. I can honestly say that playing this eco system sandbox genuinely delivered a relaxing experience. It’s so simple and raw in concept that anything more would almost detract from its appeal. I found that I’d quickly run out of organisms to spawn. However, this isn’t a game where you’re running a business, city or hospital. It’s all about looking at the small nuances in the way the eco system reacts as individual components and as a whole. This is the element that gives the on-going depth. Its scope may be rather small but Among Ripples really hits the right tone in delivering a unique gaming experience. I wish the team well as they embark on their next release named “Crest”. A more extensive and ambitious game of a similar nature. I’ll be sure to cover it when it is released. For now though, I have a pond to manage. Until next time, happy collecting.